This interaction is something that happens with dogs fairly often but not often captured on camera. Imagine my surprise when a couple of days later a similar event unfolds right before my eyes - without all the golden dust and drama of the other image, but with the elephant totally focused on the dogs. Due to the previous interaction, I did have scenarios running through the back of my mind and was trying to anticipate what would happen if the dogs did decide to play with the bull. 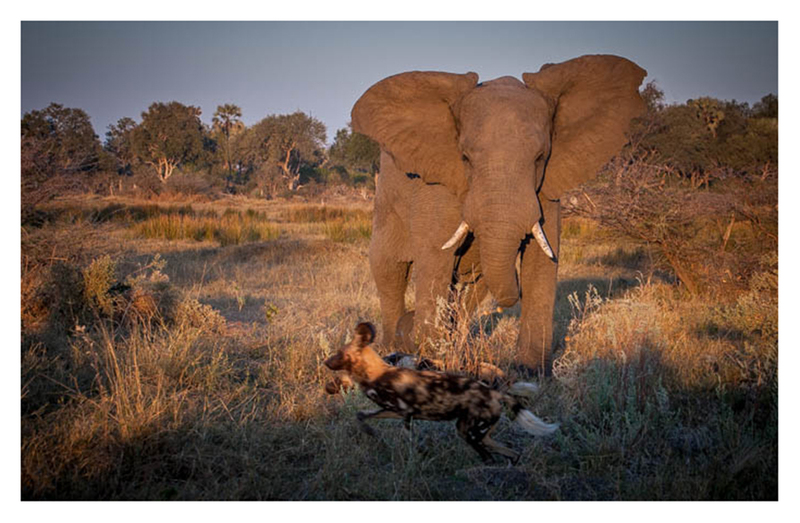 While still trying to get into position for the photograph, the elephant took the initiative and chased after the dogs.